Check Rates & Availability at Econo Lodge Andalusia! Simplify your travel to Andalusia, AL by staying at our pet-friendly Econo Lodge hotel, conveniently located off State Highway 84. We are near several local attractions, including South Alabama Regional Airport Bill Benton Field, Gantt Lake, Frank Jackson State Park and Conecuh National Forest. 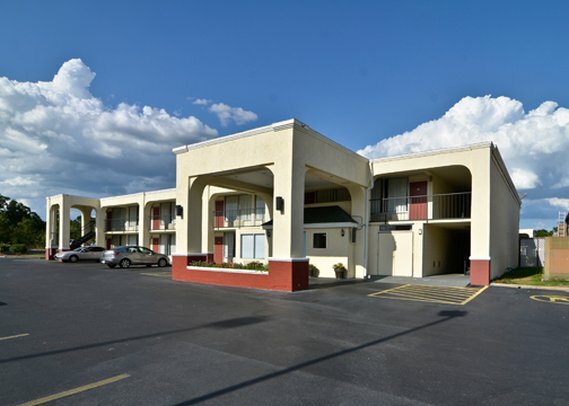 We offer every guest a free continental breakfast, free WiFi, laundry facility and an outdoor pool. Unwind in one of our guest rooms, all of which feature a microwave, refrigerator, coffee maker and a TV. Also, earn rewards including free nights and gift cards with our Choice Privileges Rewards program.